Is Your Dental Hygiene Naughty or Nice? You know what they say about Santa. He sees you when you’re sleeping. He knows when you’re awake. You may not know that he also knows when you’re brushing your teeth. (At least, that’s what you can tell your kids.) What if he really did, though? How would your dental hygiene stack up? Would it land you on the Nice List, or you could you look forward to a stocking full of coal on Christmas morning? The quick questionnaire below can help you determine whether your dental habits have been bad or good this year. ­­­___A. Only when I have a toothache. How Does Your Dental Hygiene Stack Up? If you answered mostly A’s, you’re on the Naughty List. Be prepared for a lump of coal in your stocking this year or, at the very least, a bunch of toothpaste and dental floss. However, while Santa may be a bit harsh in his estimation, when you visit our North Richland Hills practice, we will provide compassionate, non-judgmental care. We can also guide you in the best ways to maintain dental health. Of course, brushing and flossing are essential. You should brush at least two times a day and floss at least once. You should also schedule at least two dental checkups a year. At these visits, we will not only clean and examine your teeth; we will also provide tips for maintaining your white smile. For example, coffee can significantly discolor your teeth. Smoking also leads to discoloration, as well as an increased risk for oral cancer. 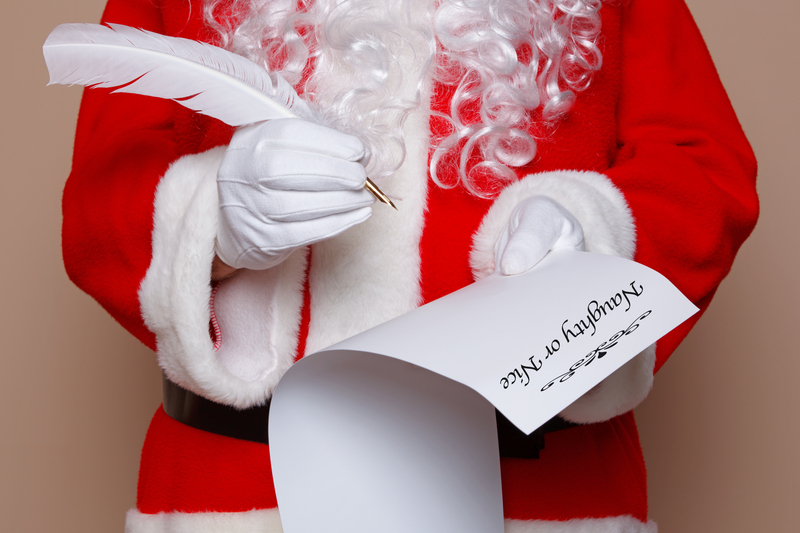 If you answered most B’s, your dental hygiene has landed you on the Nice List. You know how to maintain your oral health and keep your smile bright and beautiful. However, though Santa may fill your stocking full of goodies, don’t go overboard on the sugary treats. As you know, sugar is a leading cause of dental decay. To keep your smile healthy in the coming year, be sure to schedule your regular visits at our office.